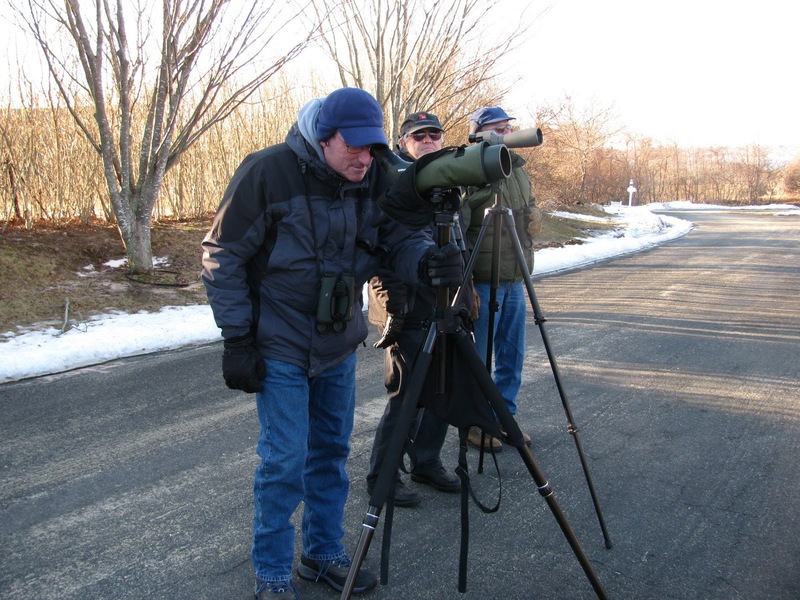 Some of our VC birders getting a good look at Snow Buntings! This week (Saturday), our group met at our usual spot, the Nature Center across from the parade grounds at Van Courtlandt Park. Before heading out for the Van Courtlandt Lake trail, I scanned the parade ground fields as I normally do and found what I was hoping for - Snow Buntings (Plectrophenax nivalis)!! I was thrilled and quickly got our group into a nice spot to observe what was for many, their life Snow Bunting. 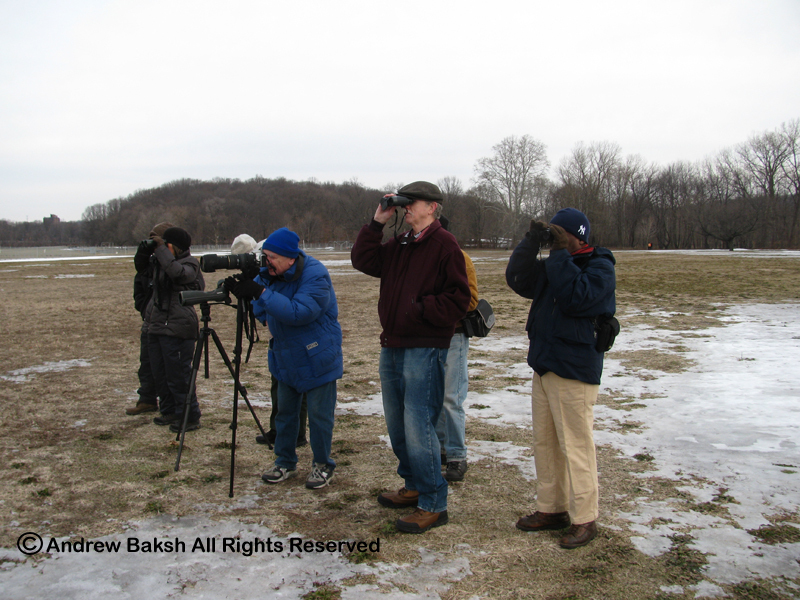 We counted 9 birds and I encouraged the group to take their time and soak up the moment. After everyone got very satisfied looks, we made our way onto the trail. Once again we had to deal with icy conditions and sadly one of our regulars took a nasty fall, hitting the back of his head. I was very upset about the situation and again impressed upon the Urban Park Ranger in attendance, "Deli", to please get maintenance or whomever to scatter some sand on the areas we have to traverse. I am thinking for the future that if there are conditions like this on the trails, I am going to cancel the walks until Parks or Nature Conservancy administration address the icy areas. The safety of the attendees comes first and I will not lead walks where the conditions are horrendous for hiking/walking. Alex, despite being shook up, toughed it out and continued on the walk and I kept checking on his status to see how he was doing. Another regular, Jim, really stepped up and was very helpful in guiding Alex on other tricky spots we encountered. Ranger Deli, also helped out and indicated that she put in a call to have something done about the icy conditions. I am hoping that we no longer have to deal with areas like this in the future. Snow Buntings at Van Courtlandt Park! 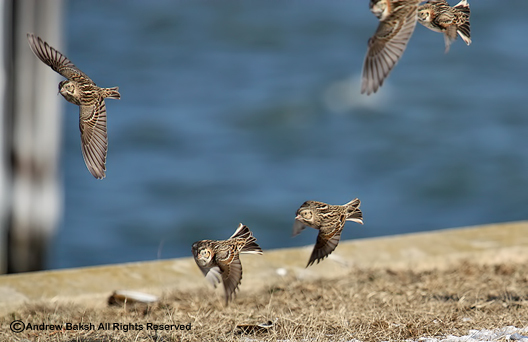 We needed birds to lift our spirits and birds we got as we hit pockets of passerines. It was noticeable that we had more passerine activity than we had seen in awhile and the sounds of Red-wing Blackbirds (Agelaius phoeniceus) permeating the stillness of the park was a sure sign that Spring is well on its way. At one of our favorite spots, we padded our day list picking up Rusty Blackbirds (Euphagus carolinus), Tree Sparrows (Spizella arborea), Fox Sparrow (Passerella iliaca), Hooded Mergansers (Lophodytes cucullatus) and American Coot (Fulica americana) to name a few. 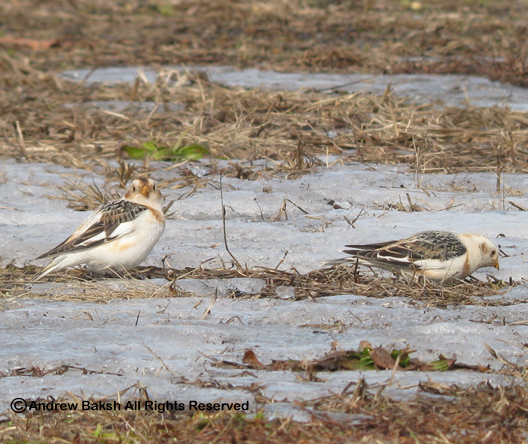 On our way back to the nature center we walked the parade grounds and again found the Snow Buntings. We took some time to get additional looks and the photographers in the group had a good time getting photos. We ended up with a total of 33 species for our walk. A complete list is provided below. 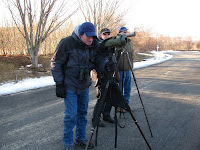 On Sunday, I joined Rich Kelly and Steve Rosenthal on an Eastern Long Island birding expedition. Our first stop was Belmont Lake where we dipped on Greater-white Fronted Goose (Anser albifrons). We were there at around 7:15 a.m., so either that was too late or the GWF have moved on. From there, we headed out to Noyack Bay to look for the Barrow’s Goldeneye (Bucephala islandica). Along the way we picked many day birds including Ring-necked Pheasant (Phasianus colchicus), which was a year bird for all of us. At Noyack, the wind coupled with the temperature made conditions brutal. Rich and Steve gave the beach a good crack, but eventually retreated back to the car (probably the smart thing to do). I stubbornly continued (not smart) working the bay and despite the choppy waves and wind, found the Barrow’s. Rich who was scoping from the car also got on the bird. Steve, was too cold to worry about Barrow’s and was content getting the warmth back into his hands. 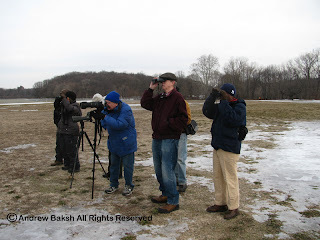 From Noyack, we headed out to Cook’s Lane to look for a Ross’s Goose (Chen rossii). We arrived and found a flock of 14 Snow Geese (Chen caerulescens) (that included a Blue-morph) with a large flock of Canada Geese (Branta canadensis). Unfortunately, we did not get to study them, as they took off just as we began going through the lot. However, good fortune prevailed as we found the Ross’s Goose in another flock which was in the opposite field. The looks were not great at all and we wished for better looks and even drove back to the area to take another look and hope for photos, but it was not to be. We continued birding but decided to work our way back west instead of continuing into Montauk. 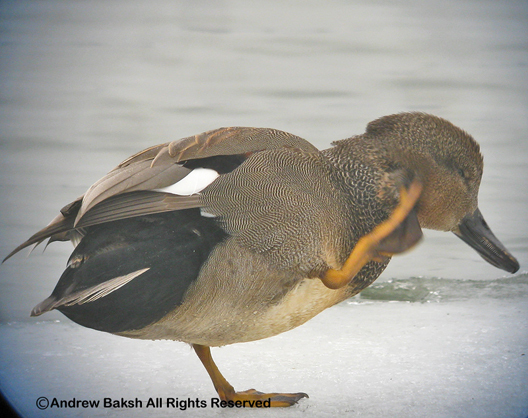 Other than the various ponds with open water, land birds were scarce and tough to get as the birds sought shelter to get out of the wind. 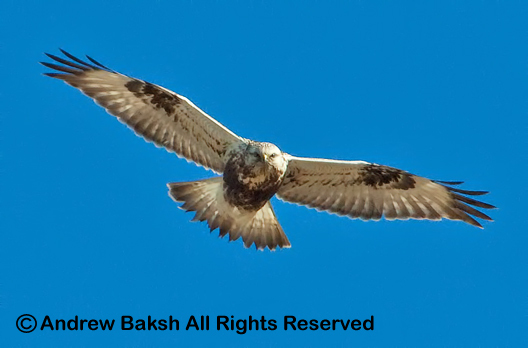 A stop at Epcal resulted in really good looks looks at 3 Rough-legged Hawks (Buteo lagopus), but no Meadowlarks or Sparrows were seen. 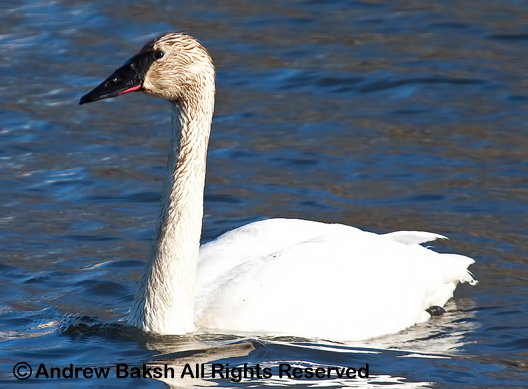 Our last stop of the day was at Yaphank, where we went in search for Trumpeter Swans (Cygnus buccinator). It was Rich who spotted the 2 Trumpeter Swans though Steve tried to pull a fast one in trying to claim the find. We all had great looks of the Swans and with that last stop we called it a day. The wind made it a tough day for birding, but we had a good time and picked up some year birds in the process. 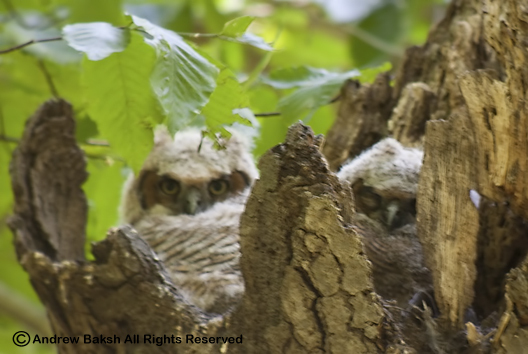 Here are a couple of Owl photos for today's "Two for Tuesday". Enjoy! On Saturday, our group met at the usual time 8:00 a.m. at the Ranger Station in Van Courtlandt Park, Bronx NY. We hiked the trail around Van Courtlandt Lake, spent some time scanning the parade ground fields and visited the restoration area behind the Van Courtlandt Museum. As noted in previous reports, I again emphasize that the trails remain iced over in many areas, which makes walking in some areas very treacherous (I almost went down a few times). One would have thought that with the recent high temperatures the snow might have melted in many areas. Instead, the areas we usually traverse seemed even more icy with the packed snow. Maybe it is due to budget issues, but I am surprised that the Parks Department have not spread sand on the iced up areas, especially the bridges. I fear someone is going to take a nasty tumble in those areas. We managed 35 species for the day with our highlights being Rusty Blackbirds Euphagus carolinus, Hooded Mergansers Lophodytes cucullatus, Wood Ducks Aix sponsa, Green Winged Teals Anas crecca and Great Blue Heron Ardea herodias. Other good birds we picked up included, Tree Sparrows (Spizella arborea), Fox Sparrows (Passerella iliaca), and American Coot (Fulica americana. Our best bird of the day and new for the year at the park were a total of 8 Killdeers Charadrius vociferus on the parade grounds - no doubt, early migrants. 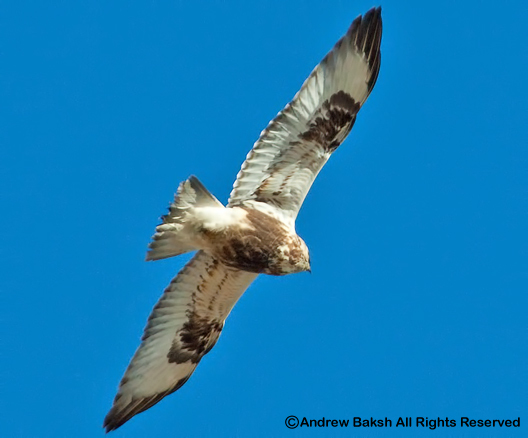 Hopefully, with warmer weather on the way, we will see more migrants moving in. It is not often one gets an image like this. 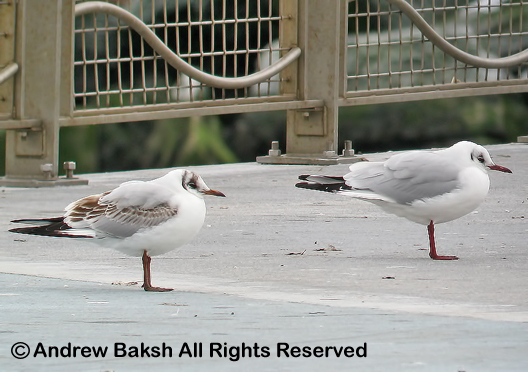 An immature Black-headed Gull and a winter plumage Adult Black-headed Gull in the same frame. Such was my fortune yesterday. 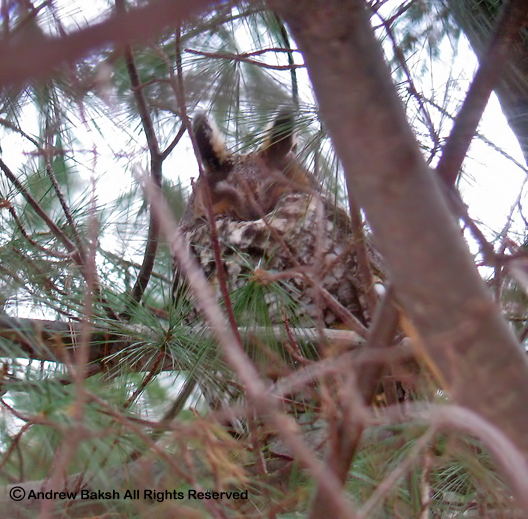 This week (Saturday), our group took the trail around Van Courtlandt Lake, but spent some time looking in some areas for Owls. While we did not find any, there was evidence of pellets and whitewash although old. 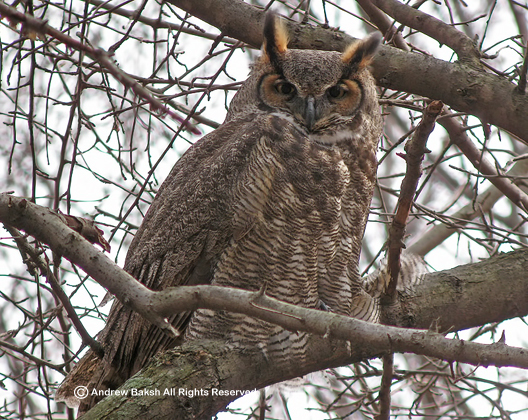 I will not be specific about the location where we looked and if you are a regular reader, you would know that I do not post any details about Owl sightings. It is important to note that many parts of the trails we use remain iced over, which makes walking in some areas a bit tricky. 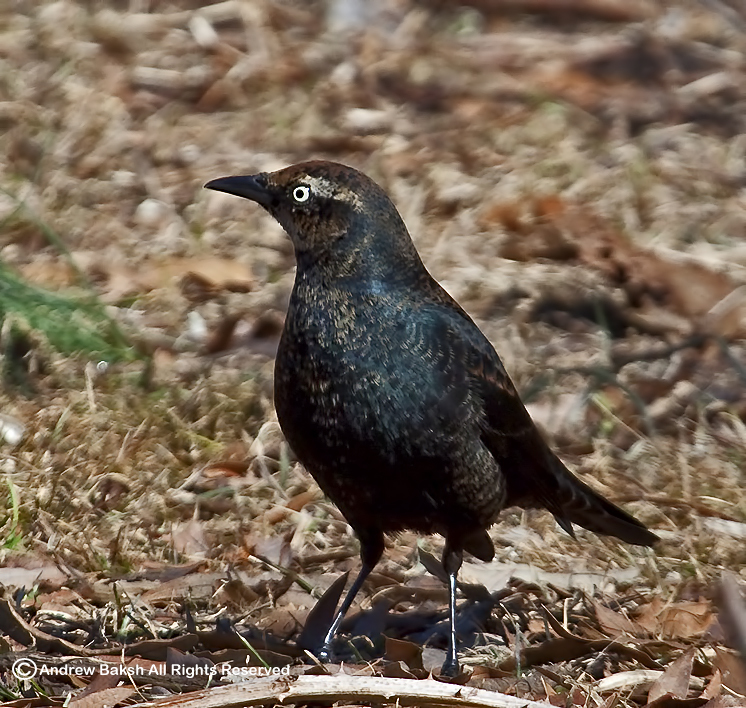 However, our group managed pretty well as I kept the pace to a crawl so that we could navigate the icy conditions.Our first neat species of the day were some Rusty Blackbirds (Euphagus carolinus). 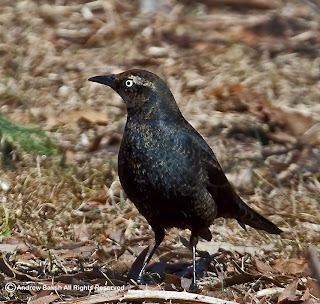 Everyone in the group were to able to get on them and that was quite pleasing as this bird, is one of North America’s most rapidly declining species. 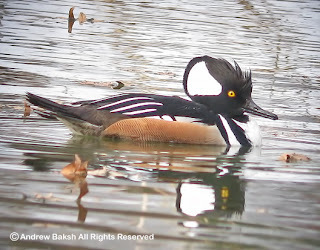 We continued adding to our day list picking up Tree Sparrows (Spizella arborea), Fox Sparrows (Passerella iliaca), Hooded Mergansers (Lophodytes cucullatus) and American Coot (Fulica americana) to name a few. Our highlight of the day was a Northern Harrier (Circus cyaneus) that I spotted as we rounded the turn by the golf course just before the bridge. The Harrier was cruising along the edge of the Phragmites and is a first for the walk. 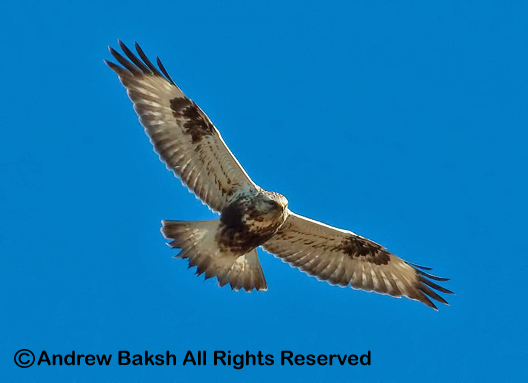 In looking at my records, I found this to be the first Northern Harrier that I have seen at Van Courtlandt. The other highlight was a Coyote (Canis latrans) that a few of us got on before it slunk away into some bushes near the golf course. We had a total of 27 species for our walk. On Sunday, I headed out on an early morning run to Eastern LI with friends Rich Kelly and Al Lindberg. We were joined later on another friend, Seth Ausubel who caught up with us at Montauk Point. 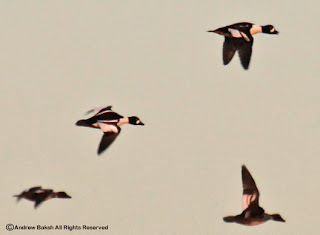 Our first stop at the point resulted in the usual spectacular duck flight with all three Scoters being the dominate species; other than a Peregrine Falcon (Falco peregrinus) sitting on the rocks near the restaurant, it was pretty dull. 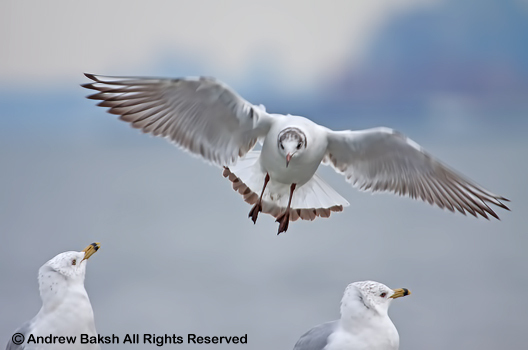 No Alcid flight and the Gulls were the usual assortment of Herring Gull (Larus argentatus), Ring-billed Gull (Larus delawarensis) and Greater Black-backed Gull (Larus marinus). We did not spend too long at the point as Rich Kelly was eager to move on because of the cold and wind so we decided to try for one of our target birds, a Western Tanager (Piranga ludoviciana) that was visiting feeders at a house at the corner of Big Reed Path and Deer Way. 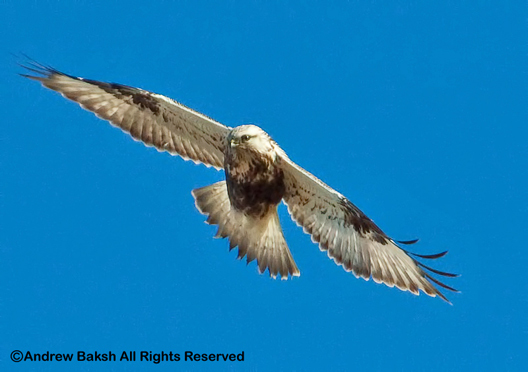 The bird was seen throughout the week, so we were eager and hopeful. We took one vehicle with Seth joining us and quickly arrived at the location. Within a few minutes of our arrival, the bird showed up. Digiscoped shot of the Deer Way Western Tanager. 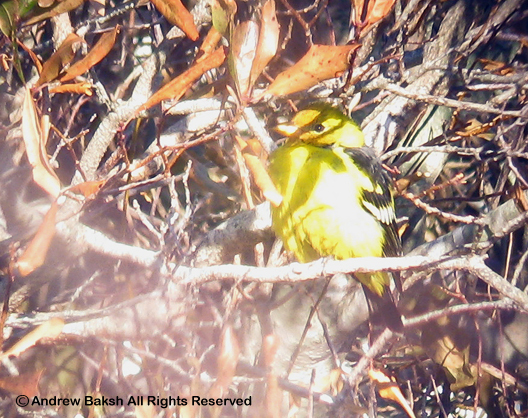 The Western Tanager showed preference for a feeder with a yellow roof and stayed somewhat hidden, but eventually it moved to a shrub and gave somewhat better views. We were very pleased! 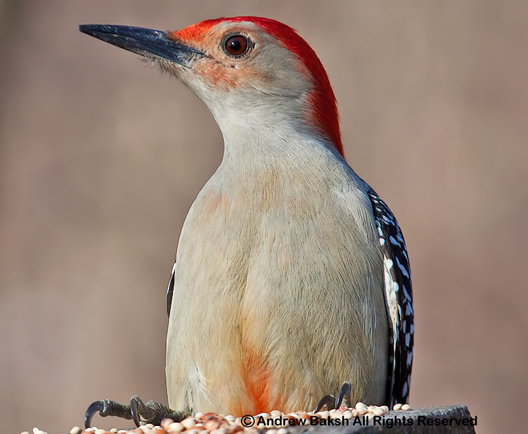 It was a state bird for me and surprisingly a lifer for Al Lindberg. Rich and Seth both had this bird before and Seth has seen this one the week prior, but was up to viewing it again. We soaked up this bird, and then left for Camp Hero and Ditch Plains. 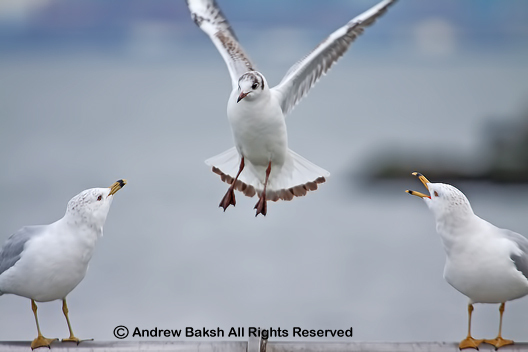 Both locations turned out to be quiet at that time with nothing but the usual species around. 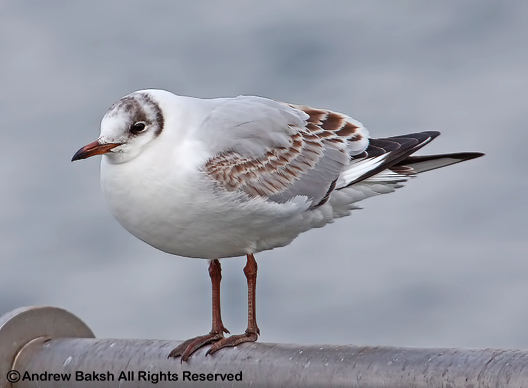 A stop at the west jetty of Montauk Harbor proved to be more productive as we picked up two 2nd winter Iceland Gulls (Larus glaucoides) as well as our 1st and only alcid of the day. A Razorbill (Alca torda) that Seth picked up in flight; Rich and Al both missed the Razorbill (Alca torda) as they had already given up and had retired to the warmth of the truck. Another Peregrine or possibly the same bird we saw earlier was spotted on the jetty. 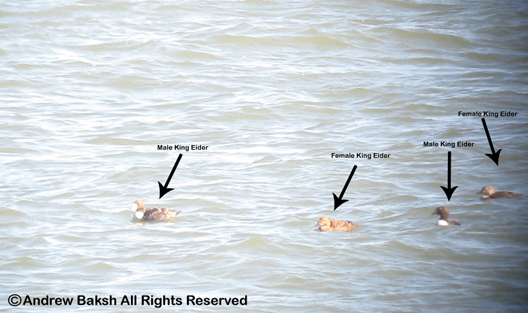 Digiscoped shots of both male and female King Eiders at Montauk LI. From the jetty, we made a stop for food. Now, this food stop was a big deal for Rich who was set on having a pork sandwich that was legendary according to Seth. Apparently, Rich had witnessed Seth purchasing some pork sandwiches on another Montauk trip and was dying to try it out. When we met up with Seth, Rich wasted no time in bringing up the topic of pork sandwiches and so the pressure was on Seth to deliver. Well, deliver he did and that sandwich was a hit. 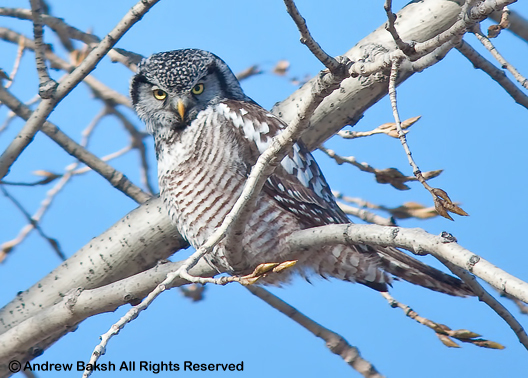 We were all staggering around filled up on a number 14 with contented looks on our faces while scouting for a Snowy Owl (Bubo scandiacus) and Northern Shrike (Lanius excubitor) off Napeague. 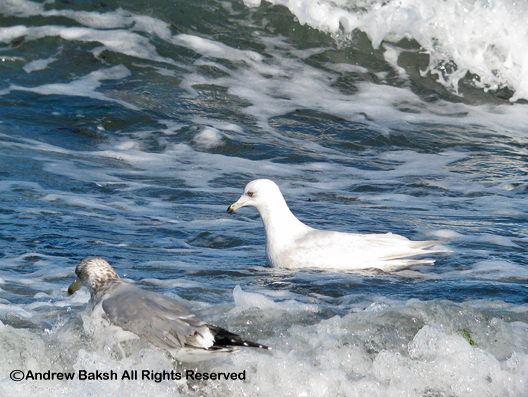 Both birds were no shows, but we did find "Larry" the Lesser-black backed Gull (Larus fuscus). 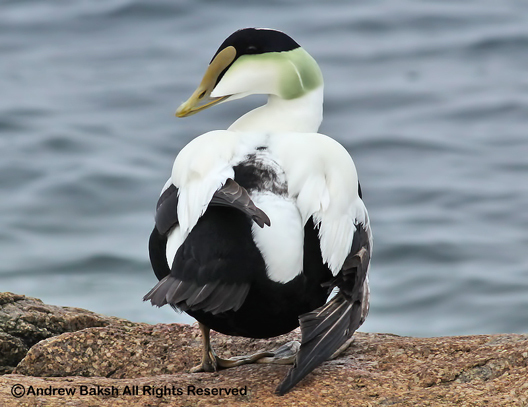 A phone call from Tom Burke clued us into the presence of King Eiders (Somateria spectabilis) at Camp Hero. Of course it had to be Tom (Mr. 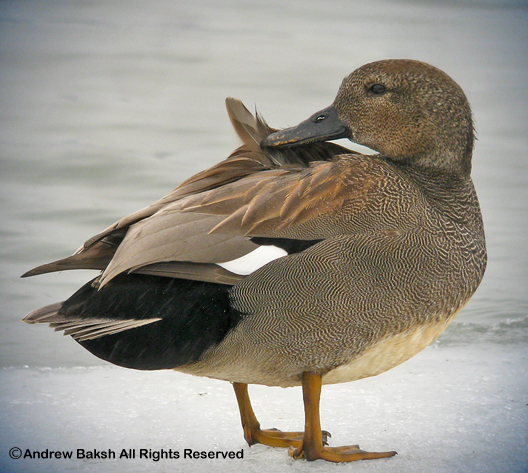 Perseverance) who would find the King Eiders. 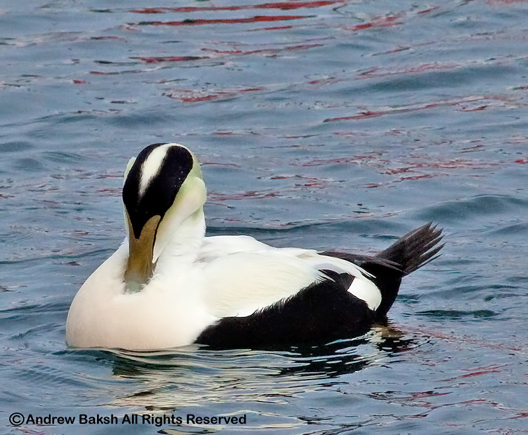 We got back to the location just as Tom and others were leaving and found 4 King Eiders, 1 adult male and 3 females. I picked out another male making the tally 2 males and 4 females. 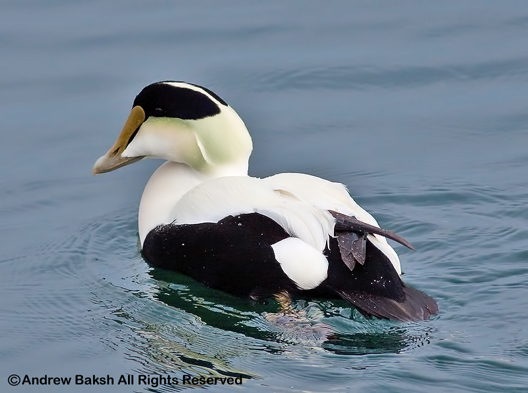 It was fun studying the female King Eiders because they can be very tough to pick out in rafts of Common Eiders. 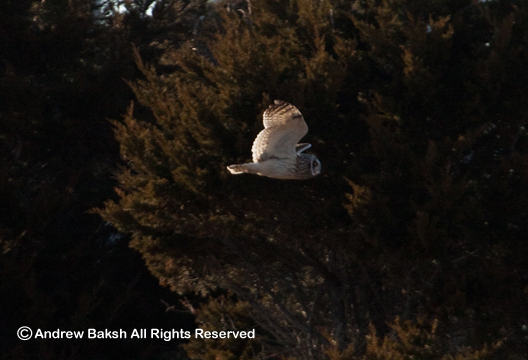 Short eared Owl at Dune Road LI. 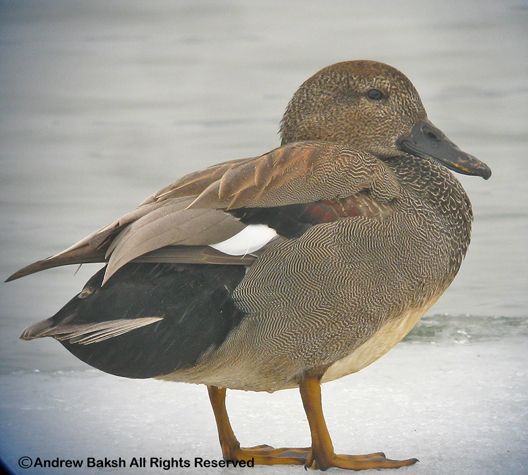 After enjoying our King Eiders view, we went in search of Greater White-fronted Geese, but did not find any. So we decided to end our day with a visit to Dune Road. 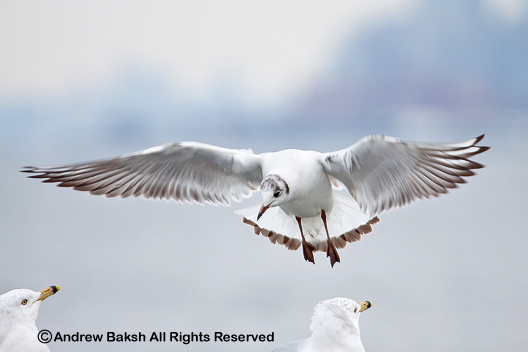 Along the way, Rich pulled out one of those legendary birding moments picking up an adult Glaucous Gull perched on a radio tower on Route 27 as we drove past doing at least 55-60 MPH. I did a 360 without losing Al who was sitting in the back seat and got the scope on the bird just before it took off. We then continued on to Dune Road birding from Shinnecock to Quogue. The highlights were two Short Eared Owls (Asio flammeus) hunting over and along the marsh edges. It was a fitting end to a great day of birding that was truly a Super Sunday!